TREC Home Inspection – This is the most common inspection and is a general look at the many systems of the home. This inspection is performed by an Inspector licensed by the Texas Real Estate Commission (TREC), and many buyers use it as a baseline inspection to determine whether any further inspections are necessary. Your TREC Inspector will visually check the foundation, roof, exterior walls, interior walls, electrical systems, plumbing systems, heating, ventilation and air conditioning (HVAC), appliances, porches/patios/decking and for an additional fee they can check optional systems like sprinklers, pools and pool equipment. It is important to note that this is a visual inspection at a general level and that TREC inspectors are limited in the scope of what they are allowed to do. They cannot see through walls, they are not allowed to disassemble equipment, and they cannot move personal items that are blocking access. Your TREC Inspector will often recommend one or more of the additional inspections outlined below. Approximate cost is $300 – $600. Structural Inspection – This inspection is performed by a Structural Engineer licensed by the Texas Board of Professional Engineers (TBPE). The engineer will examine the foundation, the framing and the roof structure to determine whether those structural systems are performing adequately to support the structure as it sits at the time of the inspection. They will also often identify exterior forces that may impact the structure in the future such as poor grading and drainage, large trees, and soil erosion. Approximate cost is $500 – $1,000. Electrical Inspection – This is a more in depth inspection of the electrical systems of the home performed by a licensed Electrician. A TREC Inspector will test whether outlets & switches are performing properly, but they cannot disassemble outlets & switches to see that the connections are mode properly and are still tight. A TREC Inspector can identify improper wiring and breakers, aluminum wiring, dangerous breakers and panels, but an electrician can tell you what is needed to correct these issues. An electrician can also tell you whether the home is properly grounded, whether the wiring is up to current code standards, and what additional electrical service might be necessary for any specific uses you have (garage refrigerator, hot tub, chest freezer, etc). Approximate cost is $150 – $300. Static Drain Test – This is a plumbing test, performed by a plumber licensed by the Texas State Board of Plumbing Examiners (TSBPE), that will identify whether there are any leaks in the drain and sewer lines of the home. These types of leak are not something that can be identified by a TREC inspector. A TREC inspector will test the drains to see how quickly they drain and whether there is indication of a blockage. For a static drain test, a plumber will block the main house drain and then fill all sinks, bathtubs, showers, and other fixtures with water. If there are no leaks, the water level will stay constant. If there are leaks, the water level will drop as water escapes the plumbing system from those leaks. Leaks in the drain lines can be caused by foundation movement, corrosion, old pipes, tree roots and other subsurface movement and are often extremely costly to repair. In the event that a leak is found, the next step is for the plumber to perform an Isolation Test to identify where in the plumbing system the leak is, and then to excavate under the house to access and repair the leak. Approximate cost is $300 – $500. 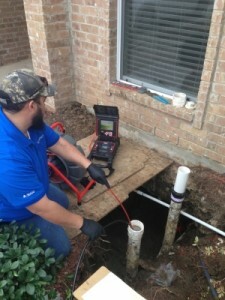 Sewer Drain Camera Inspection – This is a plumbing test, performed by a plumber licensed by the Texas State Board of Plumbing Examiners (TSBPE), that will identify problems with the main sewer drain of the house. The plumber will access the main sewer drain at the clean-out, which is the exterior most point of the drain as it leaves the house and heads to the main sewer at the street. They will run a camera into the drain line towards the street until they reach the city sewer, and then up into the house as far as they can. This test is used to identify breakage/blockage in the drain line, corrosion on the interior of the line, sagging areas of the drain line holding water, improper repairs to the drain line, etc. Approximate cost is $150 – $250. HVAC Inspection – This inspection is performed by an HVAC technician licensed by the Texas Department of Licensing and Regulation (TDLR). This is a more in-depth inspection than a TREC Inspector is allowed to perform on the heating, ventilation and air conditioning systems. The HVAC inspector can connect gauges to measure the air pressure and Freon levels and use a scope to inspect the condition of the coils inside the unit for rust, deterioration, cleanliness and overall condition. This technician can also often provide a servicing to the HVAC system for an additional charge that will ensure that it is clean, operating smoothly, and without restricted airflow. Approximate cost is $150 – $350. Septic Inspection – If your new home has a septic tank instead of sewer system, you should have it inspected by a Septic Inspector who is licensed by the Texas Commission on Environmental Quality (TCEQ). This inspection will differ depending on whether the system is a conventional septic system (tank and drain field) or an aerobic system (contained treatment with sprinklers). 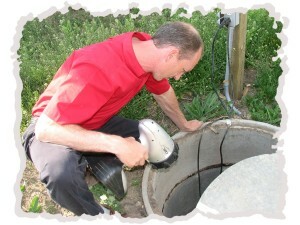 In general, the inspector will need to pump the tank to remove the contents in order to inspect it properly. They will test the integrity of the tanks and the functionality of the system. Approximate cost is $250 for the inspection and $300-$600 for pumping. Well Inspection – If your new home has a water well instead of or in addition to a central water system, you should have it inspected by a Well Inspector licensed by the Texas Department of Licensing and Regulation (TDLR). This inspection will check the integrity of the pressure tank, the functionality of the well pump, the depth of the well, the permitting on the well, and whether it is showing signs of wear. Approximate cost is $300 – $600. Water Softener Inspection – This is typically done by a company that sells and installs water softeners and does not require a license. The inspection will test the system to ensure that it is functioning properly, and will often include a step-by-step walk through to show you how to use and maintain the water softener system. Approximate cost is $100 – $250. Tree/Shrub Inspection – This inspection is typically performed by a Certified Arborist, there is currently no licensed required for Arborists in Texas and there are a number of certifying organizations (ISAT, TOWC). 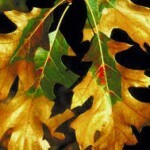 The arborist will inspect the health of the trees for signs of diseases like oak wilt, identify pests that may be damaging the trees, make pruning/trimming recommendations and advise on tree removal. Foundation Level Inspection – This test is performed by a foundation leveling company and can be done for pier & beam as well as slab foundations. There is currently no licensing requirement for foundation repair companies. The company will bring in equipment that measures the changes in the level of the foundation throughout the entire home and make recommendations on any areas that need to be raised, reinforced or evaluated further. If the changes in level are outside of acceptable levels, the foundation company will consult with an Engineer to determine a corrective plan of action. There is generally no charge for this service if you use the company to make any necessary repairs. If there are no necessary repairs, it is usually free. Note: The opinion of a foundation repair company is never an adequate substitute for the professional opinion of an Engineer.